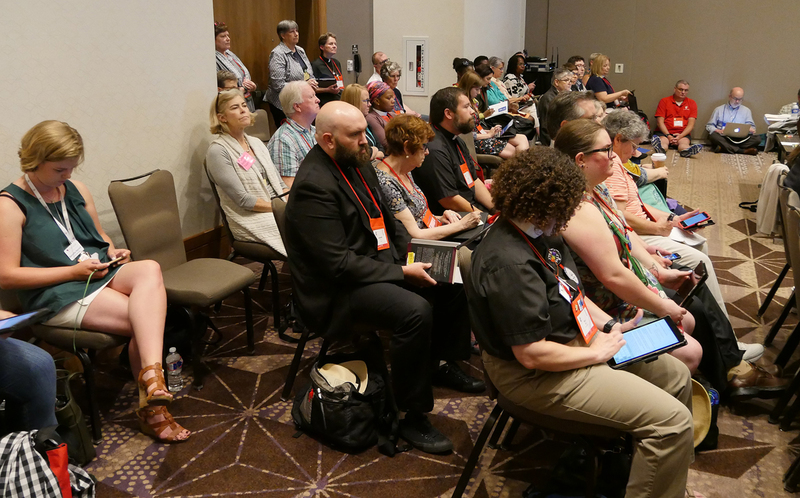 [Episcopal News Service – Austin, Texas] People of all genders told the Safeguarding and Title IV Committee July 5 that the Episcopal Church must do more to eliminate sexual discrimination and abuse. Since she became the first woman ordained in the Diocese of South Carolina more than 32 years ago, Taylor said she has “had personally experienced gender biases in the form of equality of pay, sexual harassment, sexual abuse and gross misuse of power by ecclesiastical authorities” in clergy discipline cases. The committee held an open hearing on Resolution D016, and Resolution D020. D016 would have the General Convention “confess our sins of gender-based discrimination, harassment, and violence against women and girls in all their forms as we understand these sins.” It would call on the Episcopal Church to “turn from the systems of oppression, patriarchy, heteronormativity, white supremacy, and our colonial legacy, among them, and seek to engage in restoration of the dignity of women and reconciliation from past acts.” It would establish task force to help accomplish that work. The resolution is “meant to address issues related to gender-based violence and discrimination on an overall structural and cultural level,” said Oklahoma Deputy Julia Ayala Harris who proposed the resolution. D020 would appoint a task force to conduct a survey on “gender-based discrimination, harassment, and violence against women and girls in all their forms as we understand these sins, which include, but are not limited to, sexual and gender harassment, sexual assault, physical, spiritual, and emotionally abusive behavior, and oppression based on gender.” The results of the survey would be publicly reported online no later than early 2021, the year of the 80th General Convention. When asked by a committee member if she would accept a move by the committee to combine the two resolutions, Ayala Harris said she had anticipated such a suggestion and had prepared a draft for such a move. The two D resolutions are among the 24 resolutions proposed by the members of the special House of Deputies Committee on Sexual Harassment and Exploitation appointed in February by the Rev. Gay Clark Jennings, House of Deputies’ president. 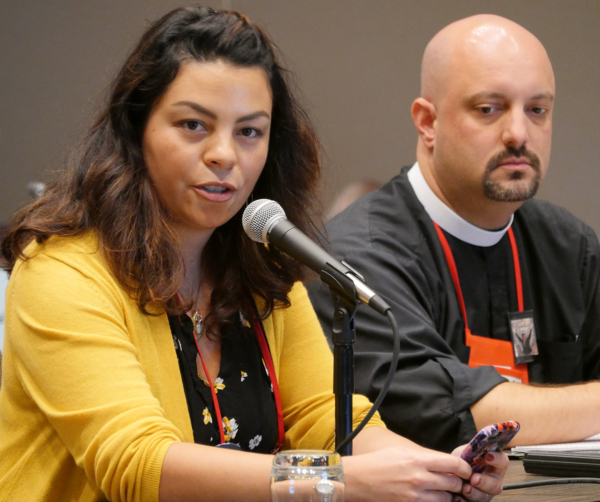 They focus on inclusive theology and language; disparities in pay, hiring, leave and pensions; changes to the Title IV disciplinary process and training; truth and reconciliation; and systemic social justice beyond the church.